Artists explore a transnational figure that defies real and imaginary borders. 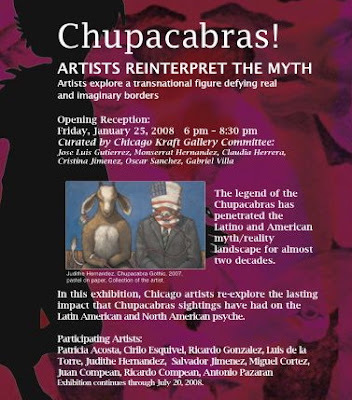 The legend of the Chupacabras has penetrated the Latino and American myth/reality landscape for almost two decades. In this exhibition, Chicago artists interpret the lasting impact that Chupacabras sightings have had on the Latin American and North American psyche.